India has emerged as the second largest stainless steel producer in the world after China. India overtook Japan as the second-biggest producer in 2016, according to data released by the International Stainless Steel Forum (ISSF) at their annual conference held recently between May 14-19, 2017 in Tokyo, Japan. The International Stainless Steel Forum (ISSF) is a non-profit research and development organization which was founded in 1996 and which serves as the focal point for the international stainless steel industry. K.K. Pahuja- President, Indian Stainless Steel Development Association (ISSDA) attended the conference on India’s behalf and announcing the news, he termed it a great milestone for Indian stainless steel industry and added that with continued support from the government, ISSDA will ensure greater heights are achieved. He also added that ISSDA will ensure the interest of all the stakeholders is taken care of. Some of the biggest Indian players in stainless steel include SAIL- Salem, BRG, Viraj Profiles Ltd, Jindal Stainless, Sunflag Iron & Steel and Panchmahal Steel. Several government initiatives like ‘Make in India’, smart cities, focus on improving sanitation & waste management facilities, building new infrastructure etc. 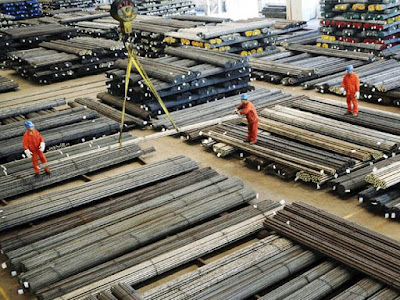 is likely to give a strong push to the stainless-steel industry in future, the ISSDa official said. In addition, National Steel Policy released by Ministry of Steel will also give impetus for long term benefits. "Increase in exports of stainless steel from India to the world market especially Europe and Americas has established Indian producers capable of producing quality material from their latest state of the art mills meeting stringent quality parameters," Mr Pahuja added.